Student activists fighting for labour rights around the country have been beaten up and detained. Witnesses have also been attacked. China’s Communist Party is cracking down on a new target – student communists campaigning for workers’ rights. More than ten people wearing dark clothing beat and dragged one activist, Zhang Shengye, into a black car last Friday night,Agence France-Presse reported, citing Zhang’s associates. 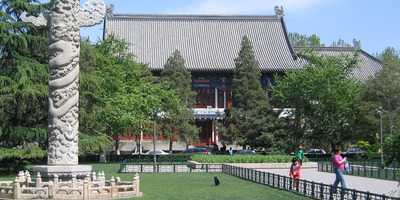 kenner116/Wikimedia CommonsPeking University’s campus in Beijing, China, where at least five student activists were beaten up and detained by unknown Chinese agents. They originally formed their campaign to support workers at Jasic Technology, a welding machinery company in Shenzhen, who were fired and arrested for trying to form a labour union. But this new crackdown by the Chinese Communist Party – formed decades ago to reflect Marxist theory and to support land workers’ rights, and who still requires universities to give lessons on Marxism – is not as surprising as it sounds. This opposition to grassroots organisations extends to labour activists and independent unions.